3D print with hemp filament! Entwined is 3D printing filament produced from USA-grown and processed industrial hemp. Industrial hemp crops require no herbicides, no pesticides and grow more densely compared to corn. Entwined hemp filament uses no dyes, allowing it to maintain a true natural brown. It’s almost iridescent in its ability to showcase different shades and densities within the same printed object. There’s a large amount of visible bio-fill, something you don’t get with standard PLA. This is the third in a line of intriguing materials as part of a continuing partnership between 3D-Fuel and bio-composite company, c2renew. Entwined hemp filament can be printed on any machine capable of printing with PLA using standard PLA settings. 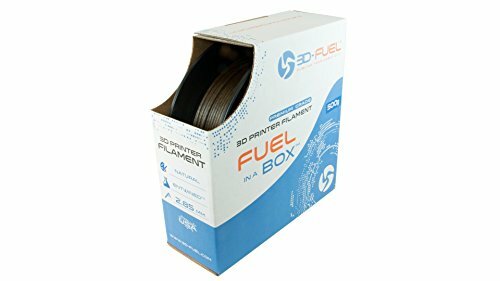 If you have any questions about this product by 3D-FUEL FUELING YOUR CREATIVITY, contact us by completing and submitting the form below. If you are looking for a specif part number, please include it with your message.